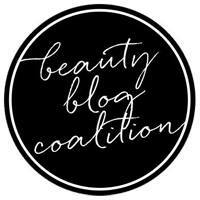 Ashley is PolishAddicted: Favorites of 2012 - Part 3 - Mainstream Brands! 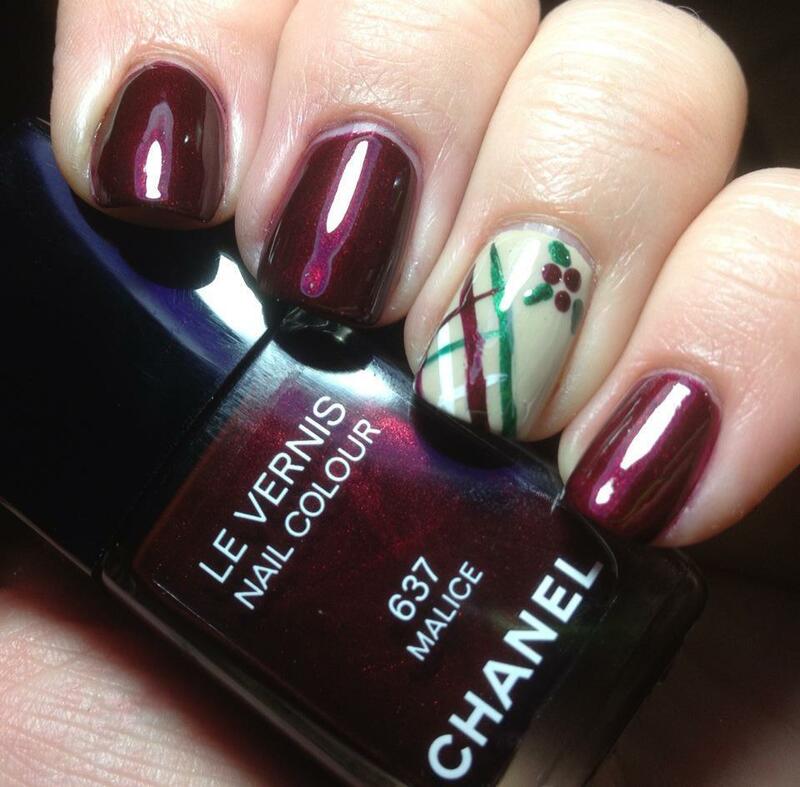 It's time for my final favorites post for 2012 - my favorite mainstream brand polishes! Once again, I had a very hard time narrowing this down so I have a lot of picture spam for you! 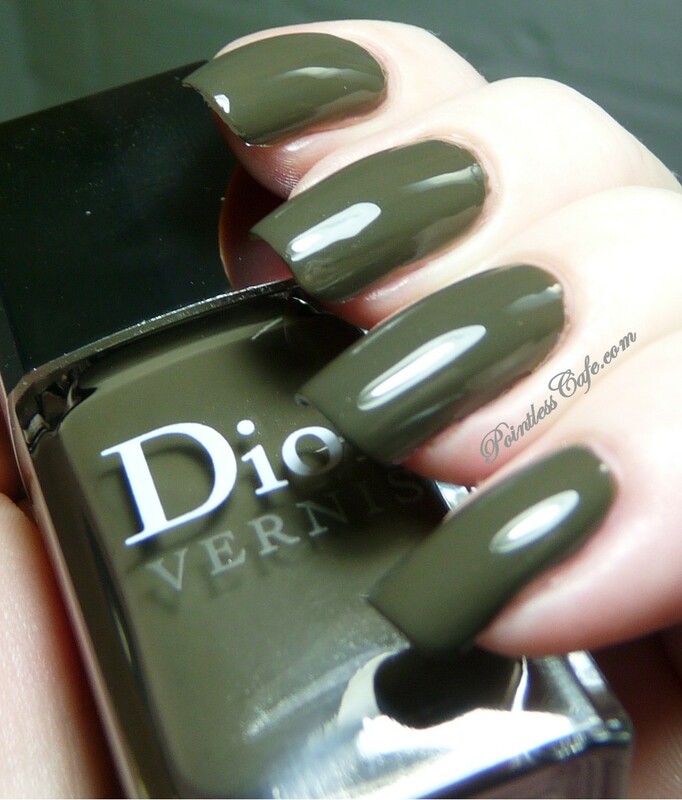 Dior Dune - Such a perfect, creamy neutral. I wear colors like this a lot - probably more than any other color family. Neutrals (taupes, browns and greys), dirty greens and purples are my most-worn colors. Kiko #400 (Grey Holo) - this polish has perfect application, is very holo and is just dark enough in tone that it looks good with my pale skin. Nails Inc. Chalk Farm - the perfect periwinkle creme. A England Beauty Never Fails - this one has so much depth and the green is so gorgeous. 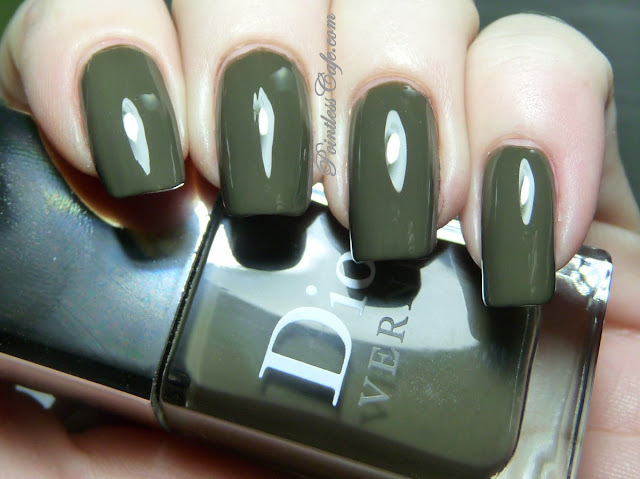 Dior Amazonia - I have worn this at least 3 times and my photos never turn out quite right. This is one of my favorite colors out of my whole stash. Wet 'n Wild Hog-Quartz School - I admit it, one of the main reasons I wanted this polish was because I only just this year discovered the amazingness that is Harry Potter (yes, way behind). But this collection was actually much better than I thought it would be and this was my favorite from that collection. 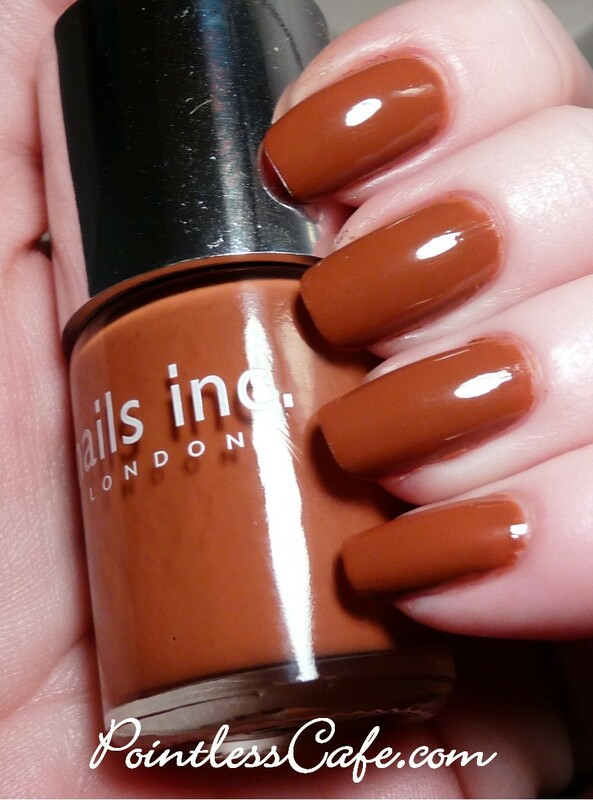 Nails Inc. Fenchurch Street - such a perfect caramel creme. Are you noticing that I really love Nails Inc. cremes? Orly Miss Conduct - berry scattered holographic polish with an amazing formula! Sinful Colors Leap Flog - I love this color and it's unique in my stash! Dior Riviera - I was so surprised at how much I loved this one. I went through a big-time orange/coral phase this year and this was my #1. I actually wore this on my toes for most of the summer (and that is a long time in Arizona!). At one point I changed it (after wearing it for over a month) to a different color only to put it back on a few days later. These photos are not the exact color - it is more coral and less orange in person. If I had narrowed this list to my top 10 this one would have made it. La Femme Unica - another top fav - perfect application on this olive green holo. Pure Ice Touch Me Softly - My favorite offering from the Pure Ice Velour Collection. Such a great formula and I love the color and finish. Zoya Aurora - I think Zoya's Ornate Collection was one of the best of the year and this one was love at first sight. Chanel Malice - to think I almost completely passed this one up thinking it was "just another metallic red" - boy am I glad I didn't! Sheila's pic (below) is the one that made me fall in love with it - and I was not disappointed when I received it! 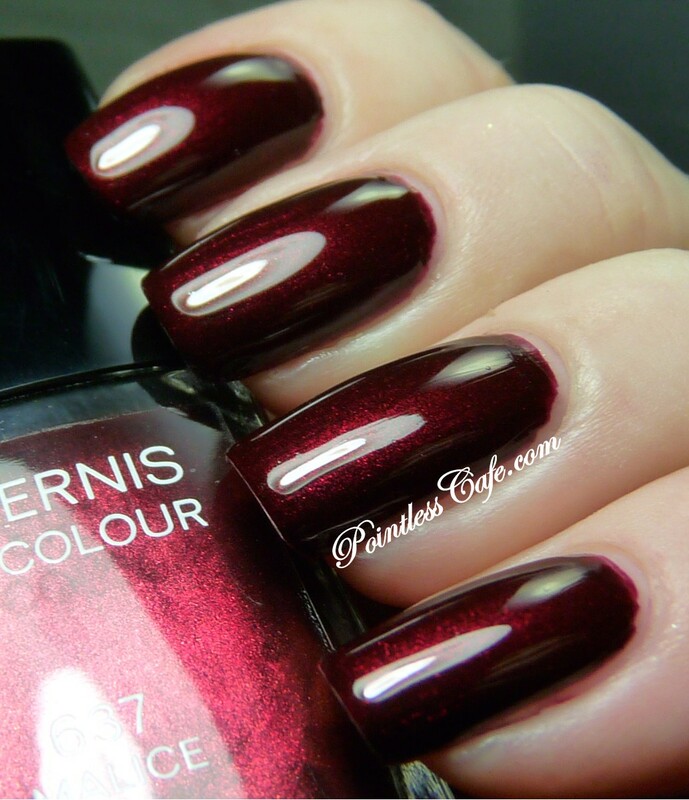 Definitely one of THE top polishes of the year! So there you have my top picks from 2012! There are so many more that could have been included - it was a FABULOUS year for polish! I can't wait to see what's in store for 2013! I KNEW Malice would be in your picks..love them all...you're nails look awesome! HAPPY NEW YEAR ASHLEY! I need Kiko 400 in my life!!!! It's so gorgeous. Baker Street too. Great choices! Fiquei apaixonada pelo da Orly rosa! OMG!!! These nail polishes are so pretty! I super love them all for I find them all elegant and classy. Great picks!!! Ooh that Pure Ice polish is beautiful!